There’s been a lot of news about Bitcoins and their success as a currency over the past several months. Prior to recent news, I wouldn’t even have known about them if it wasn’t for a friend that is really in to the digital mining of these coins. This geeky digital money has gotten my mind churning about creating another currency that could parallel the dollar but would be a FAIR currency for main street working-class peoples. With the success and high public interest in the Bitcoin, it does seem likely that the creation of other useable forms of currency is possibly. It’s a worthy experiment to emulate, where appropriate, the implementation of the Bitcoin but this proposed new currency would be based on a basic human necessity instead of a precious metal like gold or a fiat currency ,such as, the US Dollar which is tied to the whims of the Federal Reserve and Wall Street Banks. For the purpose of this discussion, let’s call this new currency a FAIR. I would suggest the FAIR be based on food and more specifically, a fast and easily grown food such as lettuce. Again, food is needed by all so it is inherently precious. Through the centuries, kings, warlords and religious leaders accumulated ornate elements to show proof of their powerful position. 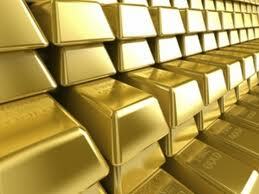 Over time, one of the elements – gold – would become the standard for commercial transactions. Until the 1970s, regional currencies were proportionally tied to gold; for example, the US Dollar was worth about 1/20th of an ounce and the Sterling Pound was equivalent to ¼ ounce. Here’s the point: today’s currencies are rooted in an ornate metal hoarded and controlled by the rich and powerful which has little to no life-sustaining value. A currency tied to food has real value. It would solve many problems including hunger, obesity, wealth disparity, global warming and other aspects of an ailing society. Over the next several weeks I will justify the benefits of a food based currency, discuss implementation and earning participation. To the battlefields, it’s time for war…again. It’s no big surprise; the banking community needs their year over year growth and profit margins. There’s no real growth markets so they need to be artificially created. War material is expensive and if the inventory sitting on the shelves can be turned, it can then be replaced. All the big publicly traded military contractors will again make the big bucks, keeping Wall Street, aka The Banks, happy. We’re just looking for an excuse to make war happen. Good for Wall Street, bad for Americans. Unfortunately, this is the economic path that’s been crafted through systematic flipping of freedom. Personal freedoms have been greatly regulated since the 1970s while corporate freedoms have experienced supernovas through deregulation. It’s a freedom inversion; taken away from the masses and given to big corporations and financial industries. It is what it is; money buys power and brainwashing spin. It will not change until the system collapses under its own weight and corruption. People will react when the pain gets too great. We are not there yet. Back to the war effort. We need to quit the pussyfooting, the posturing and all the fakeness related to our war efforts. We need to be honest with ourselves and come clean with the international community. We need to proclaim our true war policy. We, corporate America and financial controlling partners, in order to maintain our monetary growth charter find it necessary to create a constant state of war. We steadfastly ascribe to maintaining leadership in weapons technology and will create war to deplete previous generations of war-product inventory which further enhances our ability to finance war sciences. We resolve to make transparent, through period notice, our intent to make war on nations deemed obstructionist to economic exploitation. We further resolve to align militarily and financially with all for profit entities engaged in economic exploitation. It’s no longer about a free world; it’s only about a free market for the select few. Maybe it’s always been and the enlightened Voltaire, Locke and American Founding Fathers, such as Jefferson, Paine and Franklin were just fictional characters. Another city jail opens its doors to corruption. Fremont, California over build their incarceration capacity by a factor of six so now they’ve decided to lower their vacancy rate by renting out the open cells in an attempt to turn a quarter of a million dollar profit. On the surface it sounds like a good idea because the city fixes a planning mistake and they also make money to spend elsewhere. But these profit motivated jailing programs have proven corrupt and beneficial to mainly the privileged. Obviously, these programs cater to the wealthier members of society. As an example, if someone breaks the law and is sentenced to jail time, instead of serving time in a crowded county jail they can appeal to the judge for movement to a city facility if they pay a daily rental fee. In the case of Fremont, the daily fee is $155. If you have extra money, you can buy your way into a nicer jail with fewer prisoners and a less stressful environment. So, two criminals with the same offence with different monetary standings will serve different sentences. The poorer guy gets hell while the richer one gets a more privileged stay. Sentencing for crime should not be based on a criminal’s wealth. 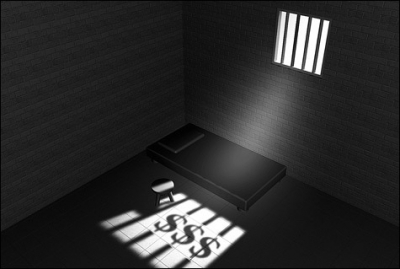 Another problem with for profit jails is financial corruption. Again, it’s already been proven that judges can get bought. A for profit juvenile jail in Pennsylvania kicked back $2.6 million to two judges for keeping their facility at capacity; the infamous Kids for Cash Scandal. Offences that normally resulted in suspension from school for a few days often put teenagers in juvy-jail for months. The judges hid behind a position of zero tolerance but in actuality it was payola time. For profit incarceration is also driving the criminalization of basic human behavior. Many of the prisons built over the past twenty years are constructed and managed by companies on the stock exchange. Many facilities originally built by local governments are now being handed over to for profit companies. Do you wonder why crime reports state that violent crimes are down but then the next report says the prison population is increasing? To attract stock investors, publicly traded incarceration companies need to grow revenue quarterly and annually…that’s how Wall Street and their financial institutions work. More prisoners equal more dollars and rehabilitation is a dirty word. These huge prison companies and their large work force hire lobbyists and political marketing firms to promote the passing of new laws or rally against movements that try to do away with bad laws that criminalize normal human behavior. Again, these companies need bodies behind bars to make money. Jailing for the purpose of profit is a corruption of justice. It’s that time of the year again for us micro-business owners. We need to renew medical insurance policies for our employees and just like clockwork the price goes up another 10%. The increases are illogical and completely counter to everything we’ve learned about capitalism. When it comes to the insurance or financial industry, if any Conservative or Libertarian thinks the American Economic System is a free market, they’re either a fool or extremely gullible. What we have now is an Oligarchy; a few large insurance companies loosely coordinating policies and pricing. There is no longer true competition in this or any other financial industry. The big healthcare insurers are publicly traded companies and, therefore, are managed by Wall Street. This means they must meet two critical criteria to stay within the good graces of for profit investors: 1) increase year over year revenue and 2) maintain or increase year over year profit margin. In today’s economic climate and in a real free market, this would be impossible for insurance companies. But yet, they continue to set profit records and growth. How is this possible? Simple…we don’t have a free market. Just to clarify, this has nothing to do with Obamacare; it’s deregulation of industry going back to the early 1980s and accelerated in the early 2000s. Let’s look at this more closely. Because of the Great Recession, many Americans are unable to continue buying their healthcare coverage so, today; fewer people actually have health insurance. This means insurance companies have fewer customers now than they did last year or even the year before. Fewer customers usually mean lower revenue but somehow they miraculously managed to increase year over year revenue and profit. To appease Wall Street, insurers just simple charged their customers more. Without a free market, we, as consumers, have no choice. You may be thinking there are four or five big insurance companies so we do have a choice, right? No, we don’t. These few companies are unable to differentiate themselves because they are publicly traded and must cozy up to investor wishes by not straying from profit and growth path. This is why insurance prices from company to company don’t really vary. One may offer lower monthly premiums but the copays are higher and at the end of the day (or year), it all comes out to about the same. There’s only one way to infuse a dose of competition into this industry and that is by allowing the public, of all ages, to buy into Medicare. This is truly a different type of offering to the consumer and would provide real competition for the insurance companies. Make these companies fight for customers by offering value. Let’s bring back a free market economy, let’s have a little competition. With all this hyped-out talk about the Fiscal Cliff, raising taxes, cutting Social Security and Medicare, why isn’t anyone talking about the obvious? Yes, we need to let the temporary tax cuts given to the rich during the George W. Bush administration expire as originally promised almost a decade ago. And we need to cut some spending in the right areas. Defense spending is the elephant in the room. All the politicians are ignoring the obvious. The military budget has tripled since 2002 and is the significant contributor to the debt. Social Security and Medicare are not the evil entitlements as promoted by the Conservatives. I do not believe defense spending will be reduced to appropriate levels. In time, many politicians get appointed to the boards of defense contractors and they also receive campaign contributions from organizations associated with them. It’s not in the best interests of our elected officials to reduce defense spending. We all know the world is not going to end if Washington does not come to a Fiscal Cliff agreement by the end of the year. It’s just political rhetoric meant to draw our attention away from the real problems. What are you thankful for? I’ve decided to take some liberties and put myself inside the heads of various characters, people and organizations in an attempt to say what is really on their minds. If retail giants can bastardize Thanksgiving why can’t I use it to make political statements? It’s all in good fun. 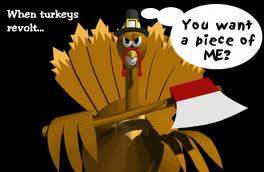 Happy Thanksgiving. As a former C-level executive of a famous semiconductor capital equipment enterprise, I’m often asked why I speak so negatively about the free market and public companies. In truth, I believe capitalism and investment into business by the public are fantastic ideas. However, I despise large corporations and Wall Street for collaborating to redefine the Constitution, undo worker’s rights, shift tax burdens and influence the judicial branch of government. The foundation for big business collaboration was laid in the early 1970s and has grown into a monstrous institution over the past 40 years. Any conservative, professional or free-market fighter who does not believe large corporations and Wall Street have conspired to gain total financial control is not a true student of business. All one has to do is read the Powell Memorandum of 1971 to realize that the seeds of collaboration were planted by a “soon to be” Supreme Court Justice (appointed during the Nixon administration) and then nurtured by his friend at the U.S. Chamber of Commerce. It’s a great document. The memo defines the problem, identifies the enemies and suggests solutions. Unfortunately, the defined enemies were the Middleclass and their advocates. The Powell solutions gained traction under the corporate-friendly Reagan Administration and the downward economic spiral of the Middleclass began. I’m not against business and I’m not against a free market. I’m against corporations conspiring to create great wealth at the expense of the Middleclass. I’m against Wall Street’s destructive and increasing single-minded focus that says monetary profit is the only measure of corporate success. A return to shared prosperity is needed to recreate a healthy economy. We need an economy based on tangible products and services and not on speculation and not on financial transactions. We need a Powell-esk agenda for the Middleclass and champion to nurture it. By now most sports fans have heard about the NFL scab-referee debacle. In case you haven’t, the NFL locked out the top-tier professional referees once the employment contract between the two parties ended before the start of this season. Replacement refs have been used during the pre-season and for the first three weeks of the regular games. It’s been disastrous. This past week was particularly bad. Illegal hits and tackles were rampant due to players testing the limits of the scab-refs and finding they could get away with unsportsmanlike play. An Oakland Raider receiver was hospitalized with a brain injury because of a hit to the head. Another player had part of his ear-lobe ripped off when he was illegally hit on the side of his head. American professional football with the big and fast participants can get extremely brutal when the referees controlling the game are not respected. And that’s now happening. The players don’t respect the authority of the replacement refs because they make bad calls and are indecisive. Now, the NFL team owners are finally coming to the table and talking with the professional referees they locked out. What brought is all to a head was the last game of the week on Monday night when millions of people witnessed a final second play that gave the win to the wrong team due to bad decisions by the scab-refs. It was awful. Even members of the winning team said they were given a gift because replacements didn’t interpret the play correctly. Why is this issue important? The NFL by itself is an $11 billion industry and if you consider gaming, food and beverage, fantasy football and other fringe markets, we’re talking about a $20 billion market. It’s a big part of our economy and integrity of the game is paramount. I find two things ironic about what’s happened in the past few weeks. First, what brought the two parties back to the discussion table was the bad call that put the Green Bay Packers on the losing end of that Monday night game. There are 32 teams in the NFL and 31 of them are owned by very rich men and only one team is from a small market and is owned by the community… that team is the Packers. The little market “people’s team” pays the ultimate price because of the greedy rich. The second ironic aspect of recent events is how the NFL parallels Big Business. The rich team owners locked out the real refs because they didn’t want to increase pay, wanted to have the ability to replace refs at will and wanted to stop paying into pensions. Keep in mind, NFL refs make anywhere from $25K to $100K which is peanuts compared to owners and players. The owners are bullying the little guys. See the parallel? Big Business pensions have been replaced with 401Ks which are cheaper for business and riskier for employees. They are also trying to make union bargaining illegal which minimizes worker rights and limits collective wage-benefit negotiations. I’ve always said, “football emulates life” so I guess it’s not a stretch to say that NFL greed parallels the new American economy. What a bummer. UPDATE: Owners and Referees come to an agreement Wednesday evening. I’m from the great state of Wisconsin and proud of it. It’s the home of the Green Bay Packers; the football team that’s won almost twice as many world championships than any other team. It’s a team owned by the community while all other teams are private hobby organizations for fat-cat Wall Street insiders. There’s something sweet about a community team that’s more successful than the bankers’ dream teams. Wisconsin is also known as the home of Harley Davidson, historic development center for electrical power tools and machining, an original leader in electron-beam microscopy, super computers and, of course, organized labor. It is even rumored that a thousand years ago the Knights Templar buried the Holy Grail somewhere in the Dairy State between the Virgin apex of Green Bay and the Kensington Stone in Minnesota. This is why Wisconsin is often referred to as God’s Country. Wisconsin does have its embarrassments: Jeffrey Dahmer, Ed Gein and four out of the last twelve gun related mass murders (in the last twenty years) have been committed in the state. However, the biggest embarrassment was republican Senator Joe McCarthy who was responsible for massive civil rights violations during the 1950s. Current Governor Scott Walker is a rights violator too but is considered a pantywaist by comparison to McCarthy. 1) Privatize Social Security – he wants to turn your social security money over to the same bankers and Wall Street companies that crashed the world-wide economy in 2008 and stole the common man’s wealth and gave it to the 1% fat-cats. 2) Eliminate Medicare for those who earned it – he wants to give us a partial coupon and then make us buy healthcare plans from Wall Street backed insurance companies. For profit insurance companies don’t care about people’s health, they care about making money for their shareholders. The only competition Wall Street’s insurance companies have is Medicare. All insurance companies offer essentially the same coverage so there really isn’t a free market choice other than Medicare. Once Medicare is gone, the people will be powerless and under the thumb of for profit-only Wall Street. Under his plan, getting the medicine and treatment we need will be a bigger fight than we have now. 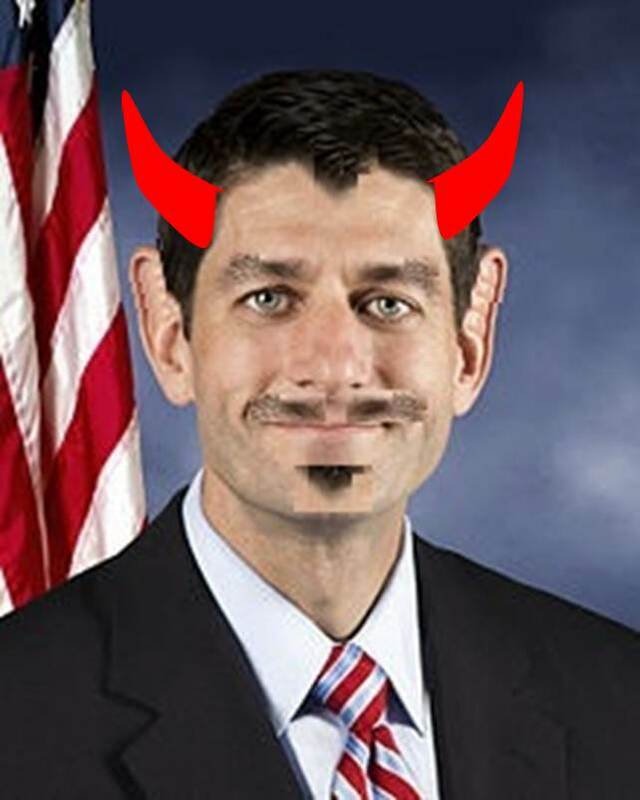 It’s my opinion that Paul Ryan is pure evil and is trying to fast track the American middleclass into a hellish existence for the benefit of his Wall Street backers. Why does he have to come from my state of Wisconsin? I guess in a Biblical sense, the Antichrist must originate from God’s Country. James Carville has just released a new book (It’s the Middle Class, Stupid) and the President is now shaping his re-election rhetoric around helping the middleclass so I feel it is prudent to repost (with edits) one of my earlier articles about the subject. It is mind-boggling that so many Americans have a god-like fascination with Ronald Reagan. This is the man who set in motion the financial destruction of the middleclass. Unbelievably, a significant portion of Middle America still loves the man. Why? Is it some sort of Battered Wife Syndrome or is the conservative middleclass too embarrassed to admit that they were duped by the Republican Party? But, here we are, repeating stupidity. Instead of trying to reverse Reaganomics, conservatives are still trying to enhance it; more tax cuts for the rich and for corporations, more union busting, deregulation and privatization of government programs. To increase our understanding, let’s review history: today, many Americans believe that middleclass society magically appeared with the birth of our nation and grew over time. This is not true. With the market crash of 1929 and the subsequent Great Depression, the country fell into economic chaos and floundered under Republican President Herbert Hoover. Prior to that, there were a few rich people, a lot of poor folk and a handful of in-betweeners. Franklin D. Roosevelt became president in March of 1933, quickly launched new legislation and executive orders that would become known as the New Deal. The New Deal increased taxes on the wealthiest Americans, increased corporate taxes, regulated banks and Wall Street, created government programs (social security, unemployment insurance and minimum wage), and created pro-union alliances. FDR’s policies pulled our Nation out of the depression and gave rise to Middle America. In less than a decade, the middleclass would grow to become the largest demographic in the country and the envy of the world—The Great American Middleclass. From the late 30s through the late 70s America prospered, the Middleclass would live comfortably and we became the undisputed world power. In steps the B-movie cowboy with his traveling show of Reaganomites and the genocide begins. Middle America was forced to save less just to maintain living standards, eventually leading to the necessity of financing their way of life. Wealth transferred from the Middleclass to banks, corporations, the rich got richer and this trend continues today. 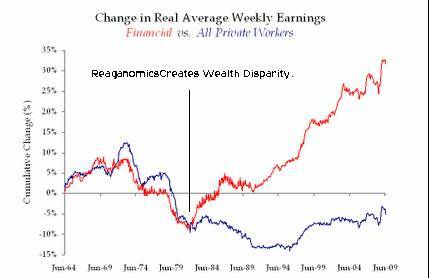 Wealth disparity now sits at the largest level since the robber-baron days of the late 1800s through the 1920s. Americans need to act by educating ourselves on what policies actually work based on historic proof. We must not listen to money-influenced mainstream media. We must not let ourselves get polarized (against each other) through agenda promoted by today’s corporate-financed politicians—it’s their tactic to divide and conquer. Genocide of the Middleclass, begun by Ronald Reagan, must stop. Hopefully the influential power of James Carville will help bring attention to proper change. And maybe, just maybe, the President’s renewed commitment to the middleclass is more than the normal lip-service.